The Batello foundation has as its goal to stimulate the building and sailing of foreign boats in Amsterdam. Using the services of the gondola is exclusively reserved for sponsors of the foundation. As a supporter of the foundation and the Amsterdam-gondola it is possible for everybody to enjoy the gondola services. You can take a ride on appointment or offer it to family, friends or a business relation. 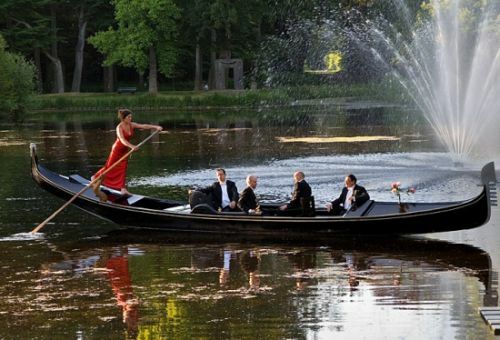 Of course the gondola is also the perfect way of transport for a wedding! If you are interested in taking a ride you can contact us.